The current recession rocking the Nigerian economy has hit one of the biggest employers of labour in the country outside of the government as the Dangote Group, belonging to Africa’s richest man, Aliko Dangote, has fired 48 members of staff. Our correspondents gathered that those sacked were made up of 36 expatriate and 12 Nigerian workers from the group’s headquarters and one of the subsidiaries, Dangote Cement Plc. 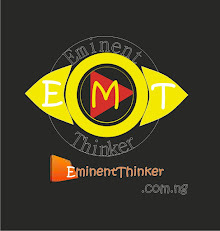 Though no official of the group was willing to speak on the matter on Sunday, one of our correspondents gathered from highly placed sources that the decision to sack the workers was not unconnected with the current high cost of running business in the country occasioned by the unavailability of foreign exchange and the unprecedented hike in the naira to dollar exchange rate. It was further gathered that the huge amounts in foreign currencies being paid to the expatriate workers had become a burden on Dangote due to the steady depreciation in the value of the naira and the difficulties of raising enough dollars. Consequently, the industrialist, according to sources, has decided to replace the expatriates with Nigerians, who have acquired the requisite experience on the job, as paying them in naira will be less problematic. For the affected Nigerians, it was gathered that most of them had disciplinary issues, which made it easy for the group to do away with their services. When contacted on Sunday, the Group Head, Corporate Communications, Dangote Group, Tony Chiejina, said he could not speak on the development. However, in a letter signed by the President/Chief Executive Officer, Dangote Group, Aliko Dangote, dated Thursday, October 20, 2016,the firm stated that it was constrained to take the “tough” decision as economic factors had affected the cost of production. The letter, which was titled: ‘Recent Retirement Exercise’, however, appreciated those affected for their contributions to the growth of the group. The letter read in part, “This year has been a very challenging year for us as a business. The unavailability of foreign exchange coupled with an unprecedented hike in the exchange rate has resulted in increased costs across the organisation. “This called for a proper review and adjustment of our costs across board to ensure efficiency and effectiveness in the deployment of our factors of production in a bid to eliminate redundancies that we know exist, which resulted in some tough decisions, which means losing staff, including some of our colleagues. “On Friday, October 14, 2016, we began the process of staff cutbacks as it is imperative to review our human capital deployment for the required cutbacks that would ensure efficiency and eliminate redundancies in the allocation of human resources. The group urged the workers to shun lateness, improper dressing and other unsavoury behaviours in the workplace. Bloomberg had in its latest ‘Billionaire Index’ reported that Dangote had lost $5.4bn of his fortune this year due to the fall in the value of the naira and the decision of the Central Bank of Nigeria to ration dollars to stem huge capital outflows in the wake of Nigeria’s worst economic crisis. Dangote had recently urged the Federal Government to sell off the Nigerian Liquefied Natural Gas Company and other dormant but huge capital-generating enterprises and reinvest the proceeds in the economy to bring the country out of the current economic recession before the end of the fourth quarter. 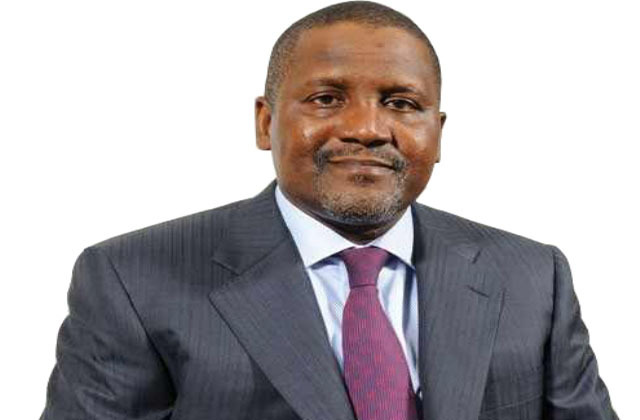 Dansa Foods Nigeria Limited, which claims to be a member of the Dangote Group, has reportedly been unable to pay its workers for the past six months. The company is being run by Alhaji Sani Dangote, a brother of Aliko, who is the Executive Chairman, with Aliko’s shares embedded in the firm. Multiple sources in the Dangote Group claimed that Dansa Foods was not part of the group but was an independent company owned and run by Aliko’s brother. However, in a statement announcing its participation at the just concluded Lagos International Trade Fair, the group listed some of its subsidiaries as Dangote Sugar Refinery, Dangote Agrosacks, NASCON Allied Industries Plc (Dangote Salt), Dangote Rice Limited, Dangote Cement Plc and Dansa Foods Limited. It was reported that the company, which produces Dansa Juice and other goods, had laid off more than half of the workforce following dwindling sales and high cost of production caused by high exchange rate of the naira. It was gathered that the company had suspended the production of Dansa Juice and other products, and was only producing Mowa Bottle Water. As a result, the workers have reportedly embarked on a strike to press home their demand.